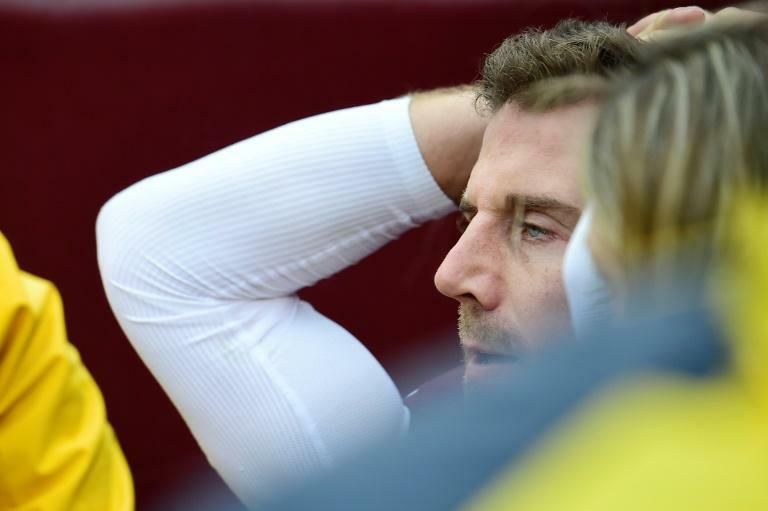 The Washington Redskins requested "privacy" for Alex Smith and his family on Thursday amid reports of a setback in the quarterback's recovery from a frightening leg injury. "On behalf of Alex Smith, we appreciate all of the concerns and prayers over the injury he incurred on November 18th against the Houston Texans," the NFL franchise said in a statement. NFL Network, citing unnamed sources, was among outlets reporting that Smith was battling an infection in wake of surgery to repair two broken bones in his lower right leg. At least one report said Smith remained hospitalized. Smith was hurt in the third quarter against Houston when he was sacked, his leg buckling awkwardly underneath him as he went down. He was immediately hospitalized and had surgery the next day. The team has not confirmed reports that Smith suffered a compound fracture, in which a bone punctures the skin. Smith's injury sparked comparisons to the career-ending broken leg suffered by former Redskins quarterback Joe Theismann when he was sacked by New York Giants linebacker Lawrence Taylor -- an injury that occurred 33 years to the day before Smith's -- on November 18, 1985.